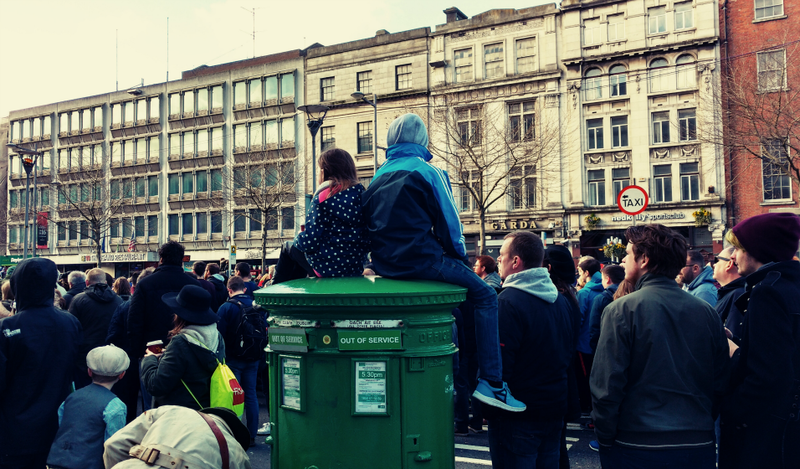 We were late to the party, and it was only in the last week that I heard about the big Dublin Parade for the centenary celebrations of the 1916 Rising. I should have planned in advance, but I was a wee bit busy with other things, and the morning did not go quite to plan. 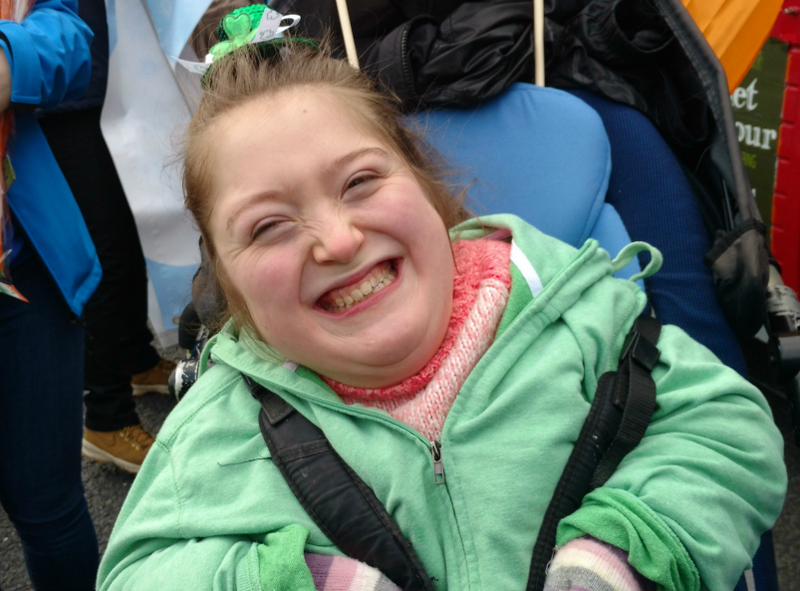 Despite that, Smiley had a great time soaking up the atmosphere, and she made it her mission to spread joy and happiness on the streets of Dublin. But we couldn’t see anything or get anywhere near the disabled viewing spots, there were barriers to cars and people in every direction. So we gave up and went for coffee instead. Only to find out later from the TV coverage that many people with disabilities were allowed to watch from in front of the barriers. But no-one suggested that to us. It was all a bit frustrating. And I was reminded of the words of the proclamation about cherishing all the nation’s children, and of the real life barriers that prevent that happening for so many children, eloquently expressed this morning by my friend Grainne from AsIAm.